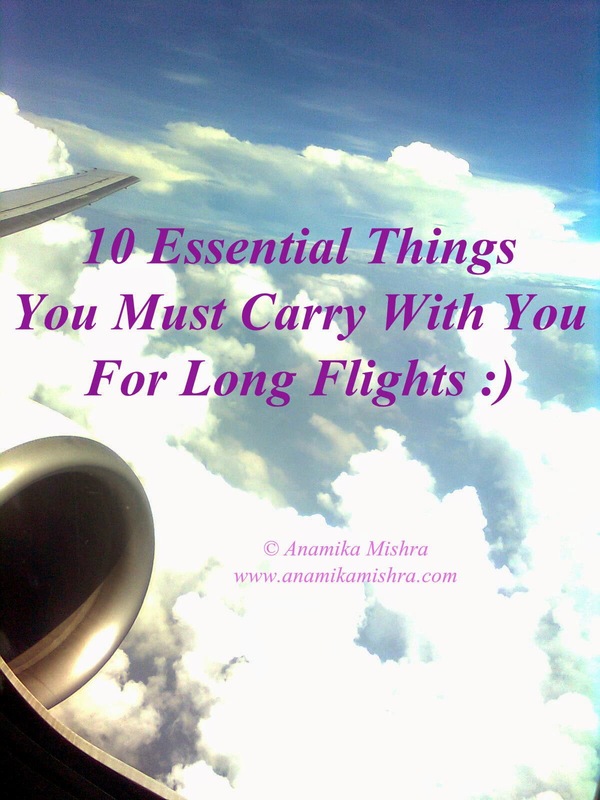 For long flights some of the necessary items to be carried along can give you both the comfort and the easiness in your travel in flight journey! As a traveler I know sometimes, long flights makes you feel lousy and blank. Though, we are always excited to reach the destination but sometimes, it happens that boredom starts killing you during the long flights. I clicked this picture from my window, while I was flying to Andaman & Nicobar Islands for a trip! It the most favorite photo of mine but had to edit for this post. Isn’t it cool? No matter how many times I fly, I love to click pictures from the window. 1. Noise-canceling headphones which can drown out all noise of crying babies & loud passengers. USB and tangle-resistant cords come with their own carrying case which can be charged whenever you want. 2. A luxurious sock set and the blanket will give you warmth and better feeling staying long in the economy seat with the touch of the first class experience. 3. A cotton cashmere hoodie upgrades is both the style quotient and travel outfits which keeps you comfortable even in hour 10 or more of traveling through the clouds. 4. Block light and prevent smashed eyelashes with this raised eye mask. 5. Read books from kindle or carry your favorite novel which will surely be completed in the journey and give you a nice time pass scope. 6. The neck pillow is also another very soothing item to give you the posture and the position to relax and sleep well. It can also give you relaxation from back pain or neck pain. 8. Carry your iPods! Its the best things to kill boredom. Apple iPod touch 32GB – Space Gray or Apple 16GB iPod Nano (Silver) are the perfect two options to carry with you on long flights. 10. Eating snacks, chocolates and fruits will make you fit and refresh you. So long hours flight journey though very irritating and can make you crazy the best way to overcome and be comfortable is by carrying all the essential requirements in your bag and keep it ready for use. Have a good flight! Ciao!